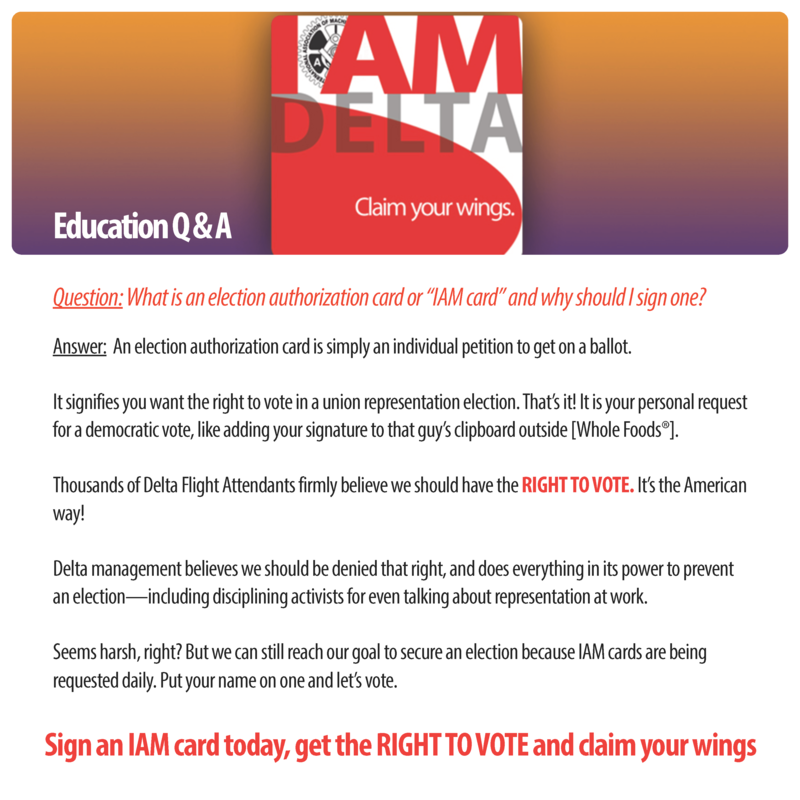 Please visit this page often to get answers to the many questions that Delta Flight Attendants have about IAM representation. The questions answered here will range from the simple to the complex. The aim is to get Delta Flight Attendants the information that we need to make an informed choice about union representation.